We are BornPretty .The original inspiration of the name born pretty comes from proverb Each woman is Born Pretty. Combining the aim of providing beauty items to the female,we incorporated it into the name Born Pretty. The product is shipped from China, usually takes 1-3 weeks to arrive. There might be risk of losing package in transit, once it happens please contact us FIRST and we will solve the problem for you as soon as we receive your contact. 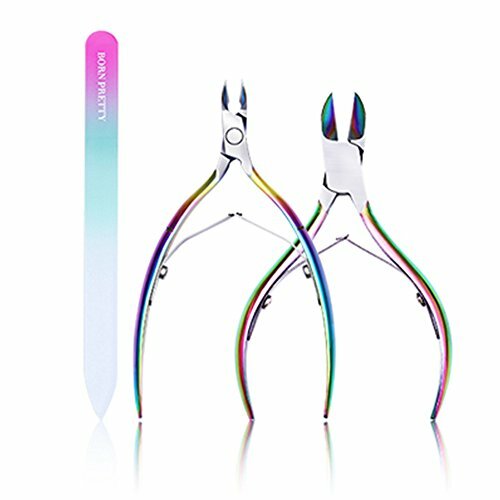 EFFECTIVE DESIGN Jaw head nipper isolates the problem area and snips away cleanly. Ideal for use at home, spas and salons. STAINLESS STEEL Made from premium brushed stainless steel to retain sharpness for a very long period of time. SAFE FOR YOU Smooth, comfortable use with rounded handles for greater accuracy, comfort and safe for you ,won't hurt your skin. View More In Nail Clippers. If you have any questions about this product by Born Pretty, contact us by completing and submitting the form below. If you are looking for a specif part number, please include it with your message.